Dr. Tuttle prides himself on being a restorative and cosmetic dentist that loves to give people beautiful and healthy smiles. 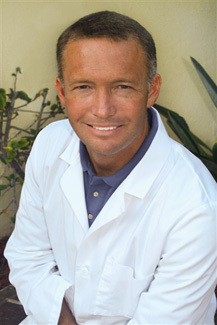 He uses advanced cosmetic techniques and the most modern dental equipment to give any patient that perfect smile. Amazingly, this can be done in as little as a few hours. From placing small tooth colored fillings to restoring your whole smile with instant orthodontics, Dr. Tuttle strives for excellence. Florida licensed, Dr. Tuttle practices in his and his wife's home town where they are raising 5 children. A graduate of the University of Florida College of Dentistry Dr. Tuttle has obtained extensive training though continuing education courses in both Boston and Atlanta. He is a member of the American Dental Association, the Florida Dental Association, and the Brevard County Dental Association. He also volunteers his services to the Adult Dental Clinic. Dr. Tuttle believes in the importance of having beautiful, healthy teeth and strives to give each patient a perfect result. He is extremely dedicated to his work and the beautiful and whiter smiles he helps to create.